"We want to adopt, but we can't. It needs to change." Deborra Lee Furness has just found out she’s the NSW Australian of the Year and she’s on the phone from New York. It’s perfect timing, of course, because it’s National Adoption Awareness Week here. The exact cause she’s being honoured for working on. And that’s exactly what she did. In fact, she barely draws breath before she launches into an infectiously passionate monologue. 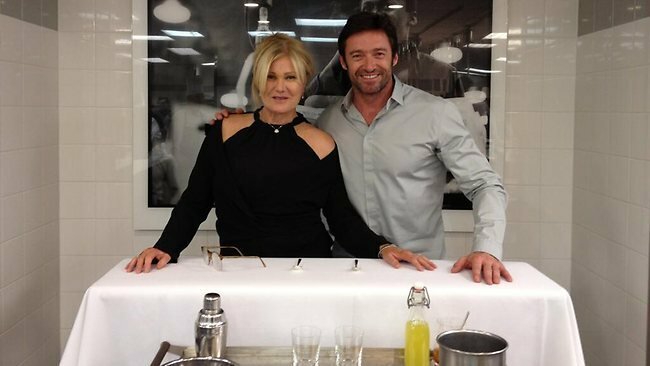 She and her very famous husband Hugh Jackman are parents to two adopted children, Oscar, 14, and Ava, 9, and she’s got a wonderful fierceness in her voice when she talks about the issue. “Do you know how many people come to me saying, ‘we want to adopt, but we can’t’?” she says. After many years campaigning for law reform to make overseas adoption more efficient, Furness finally has Prime Minister Tony Abbott’s ear on the issue. She met with him in New York recently, and consequently he has introduced a bill to amend the Australian Citizenship Act of 2007, so that children may be adopted via direct bilateral agreements between countries. 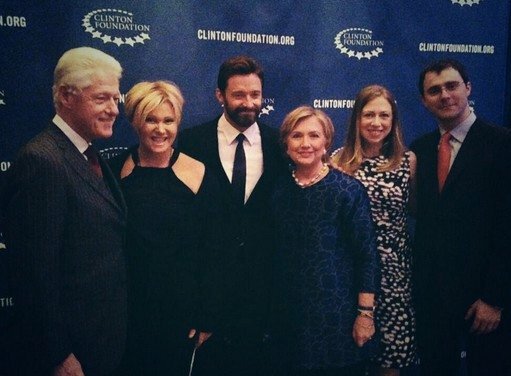 Deborra-Lee and Hugh with the Clintons. It means contravening the United Nations convention to protect the child, which seems counter-intuitive. Some experts argue that the Australian Citizenship Amendment (Intercountry Adoption) Bill could leave some children vulnerable to trafficking, essentially if awful people manipulate what is otherwise an altruistic reform. But Furness says it’s the only way we can match vulnerable children with loving parents. “Australia is one of the lowest performers in the world when it comes to overseas adoption, and that needs to change,” she says. Furness rejects the idea that she is making adoption “easy”. It’s never easy. It’s a complex, delicate process – as it should be. Transferring the responsibility for a child’s life from their biological parents to another couple or person is huge. There are few processes more emotional, or more important. We need better education for adoptive parents and greater post-adoption support from social workers – for the parents and the children. That’s why the next priority for Furness and everyone she works with is the Centre for Excellence, which will roll out education programs in universities. Do you think it should be simpler for Australians to adopt from overseas? Here are some celebrities who found their families through adoption.